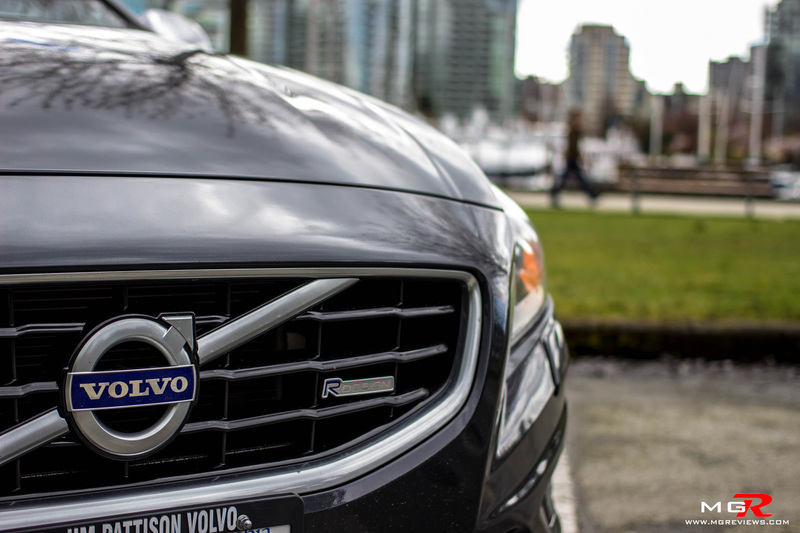 Volvo has the stereotype of being a safe and sensible auto manufacturer. 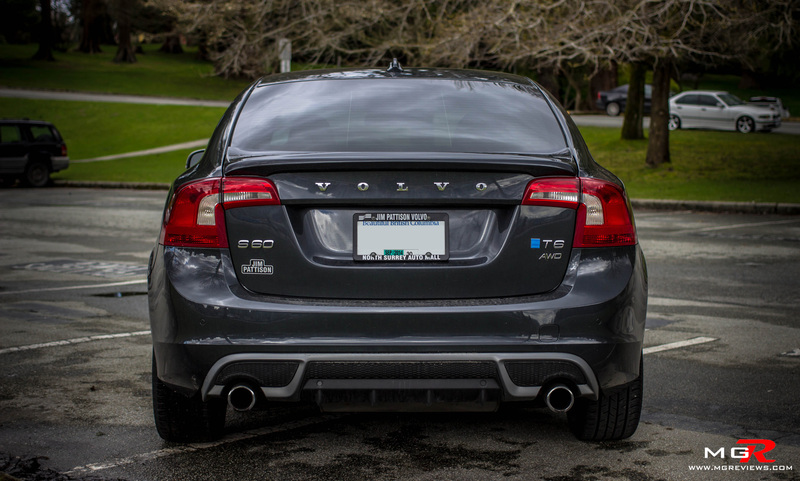 So when did it become sensible to put a 325hp engine and make the S60 compete against the Audi S4 and BMW 335i? Performance – Volvo’s Polestar division (similar to Mercedes’ AMG division) was created not only to compete in racing categories such as International V8 Supercars and World Touring Car Championship, but also to create some “non-sensible” road going versions of their race cars. 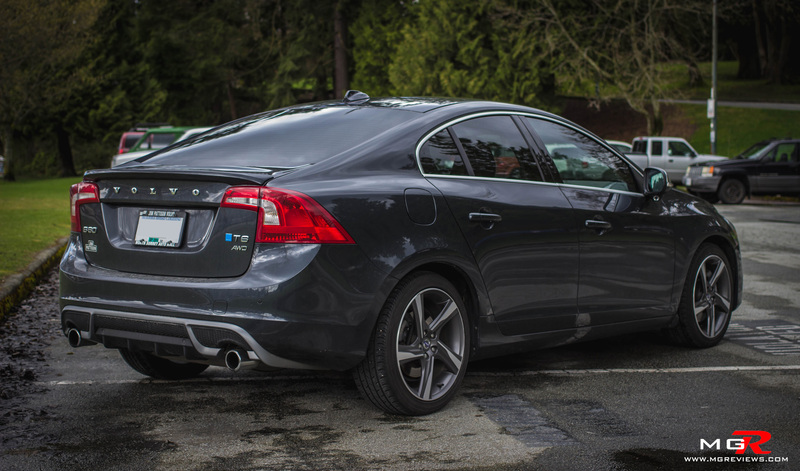 The S60 Polestar R-Design features a slightly tuned version of the inline-6 turbocharged engine that is normally found in the S60 T6. As mentioned before, this engine produces 325hp, up from 300hp, and 350lb-ft of torque, up from 320lb-ft. The difference in power is not immediately noticeable unless you drive the two cars back-to-back. 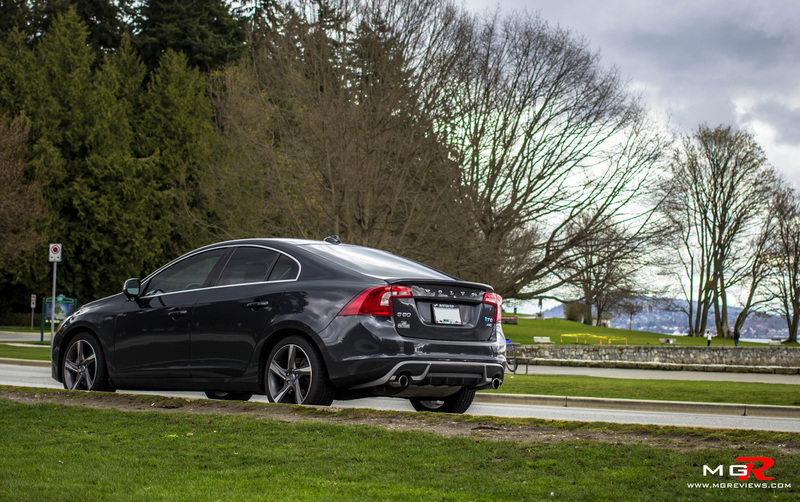 Between the two, the S60R feels more immediate with its power delivery and is slightly faster to reach the benchmark of 100km/h from a standing start (5.2 seconds) than the standard T6 model. To put it into perspective of how fast this sedan is, a Maserati Grantourismo has the same 0-100km/h time of 5.2 seconds. 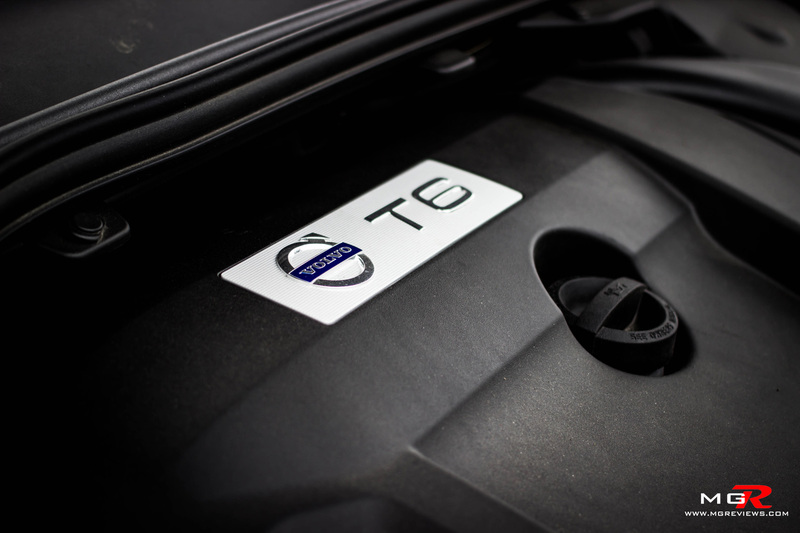 Like the T6, the automatic transmission in this S60R completely changes the characteristics of the engine from being a subtle and quiet car in normal “D-mode” to being sporty and angry in “S-mode”. In S-mode the computer keeps the engine’s rpms higher than it would under normal driving conditions to reduce turbo lag and to keep the engine in the power band at all times. As soon as you put your foot down, the car immediately goes without any hesitation and it will easily match the pace of its German rivals. 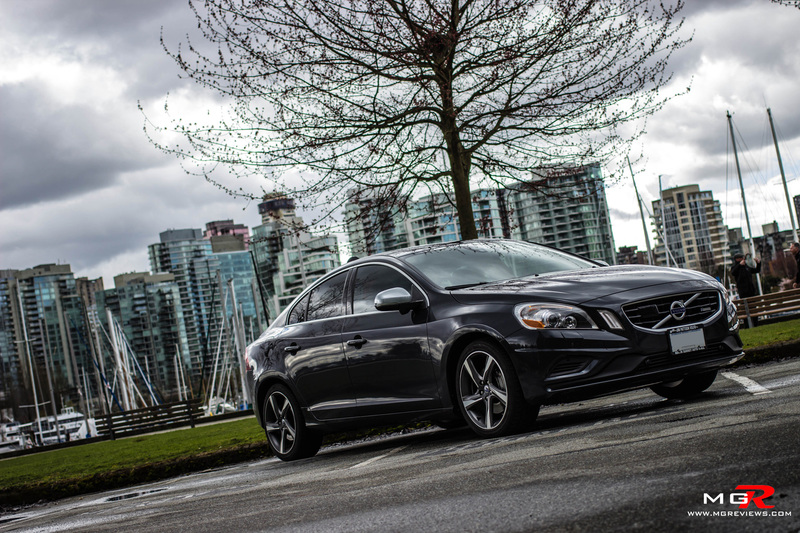 Unfortunately the S60R is no longer available with a manual transmission like the previous generation S60R. 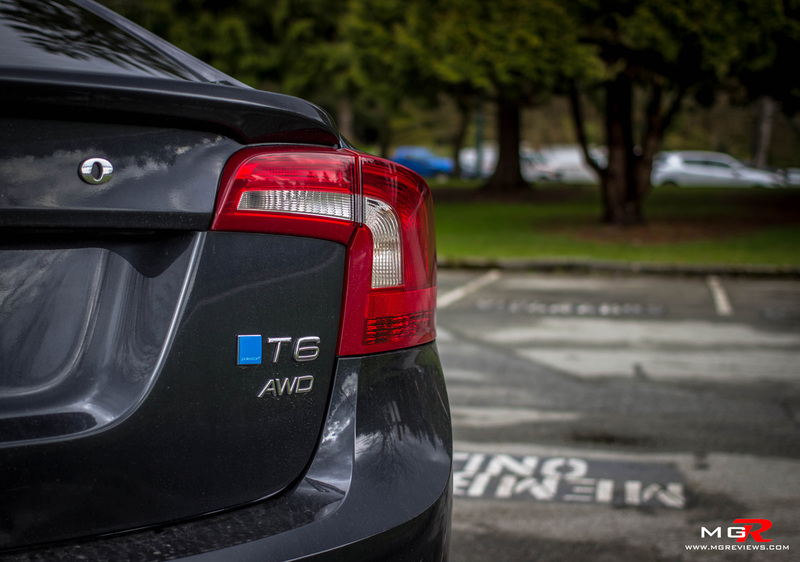 The S60R has the same all-wheel-drive system that is found on the T6. The system, coupled with the 235 section wide tires, provides exceptional grip in both dry and wet conditions. On the limits of grip, the car has a tendency to under steer (car wants to continue going straight while turning) during the entry of a corner but the sophisticated all-wheel-drive system and traction control system calculates which wheels have the most grip and sends power to those wheels allowing for smooth and very fast acceleration out of corners. The steering can be adjusted for different weight feels from light to heavy depending on the driver’s mood. For city driving a light steering feel can be selected for ease of maneuvering from block to block or in tight parking spaces. A medium steering feel is more suitable for long highway driving. And a heavy steering feel is best for when the driver is in the mood for spirited driving up a twisty mountain road. Comfort – The interior fit and finish is undoubtedly on par with its German rivals. 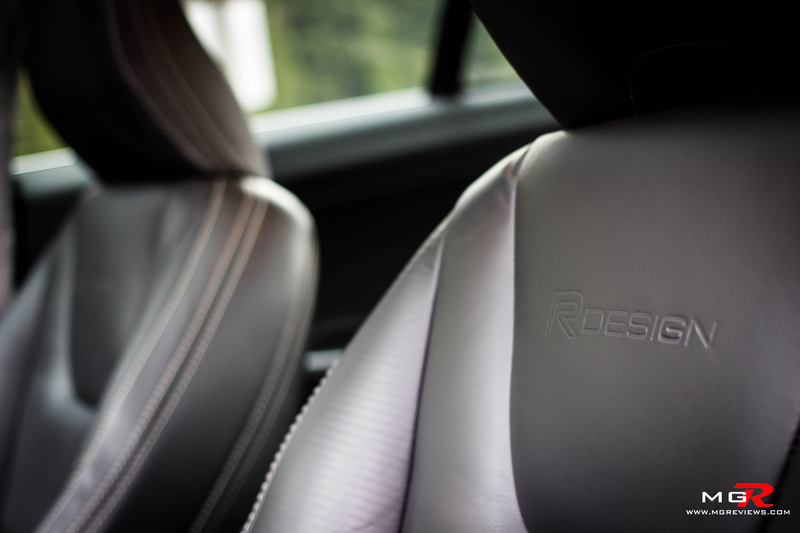 The seats are in particular better than what Audi and BMW can offer in the S4 and 335i. 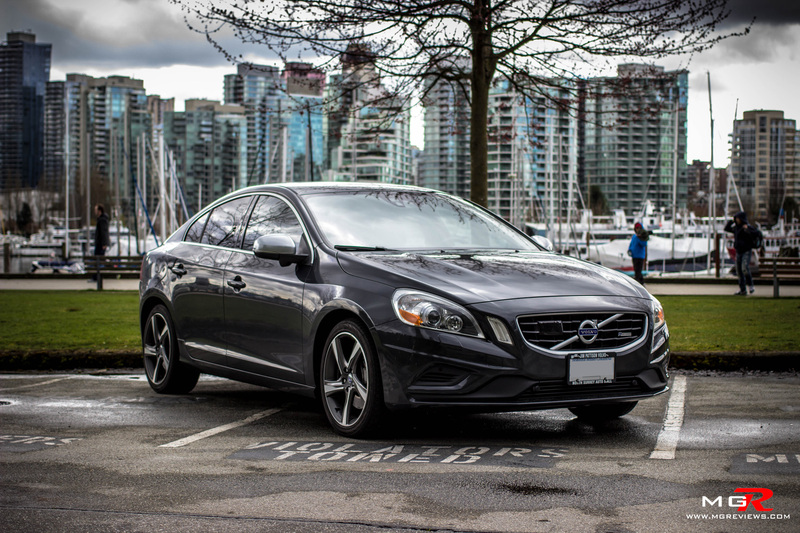 The seats in the S60R are soft and comfortable but they also have a lot of side bolstering to keep you in when taking corners at high speeds. 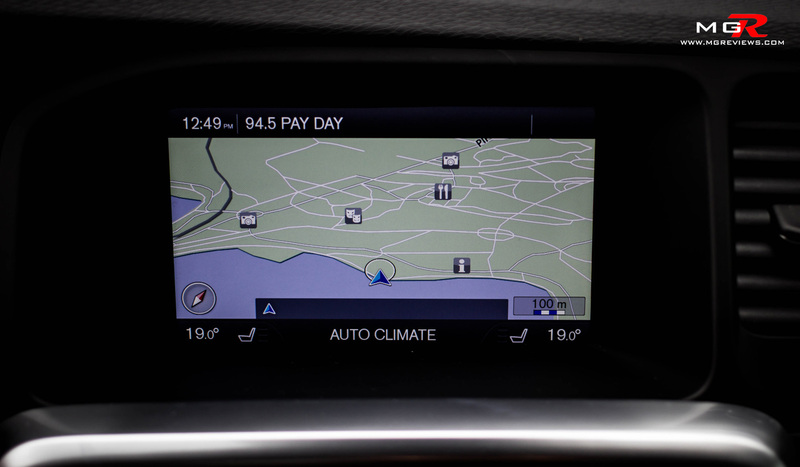 The center console is identical to that of the 2014 S60 T6 apart from the instrument cluster. 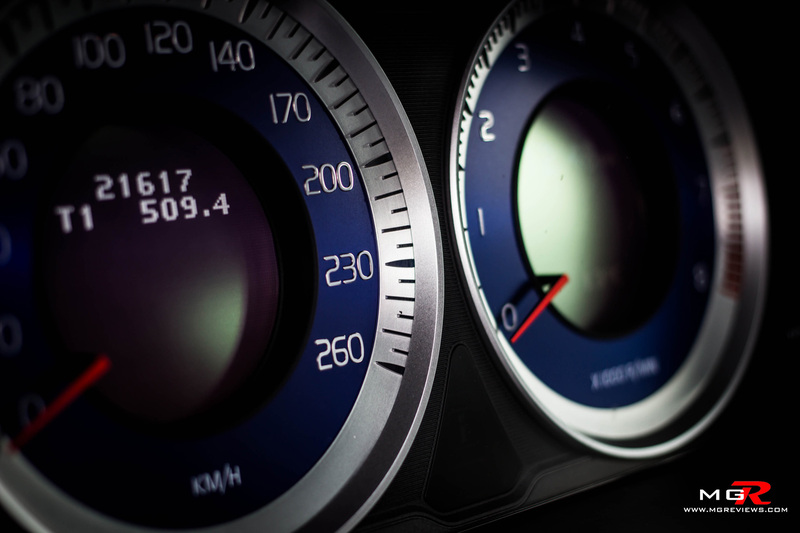 The newly refreshed 2014 S60 has a beautiful and futuristic looking instrument cluster whereas the 2012 S60R features a more analog and “old-fashioned” looking instrument cluster. 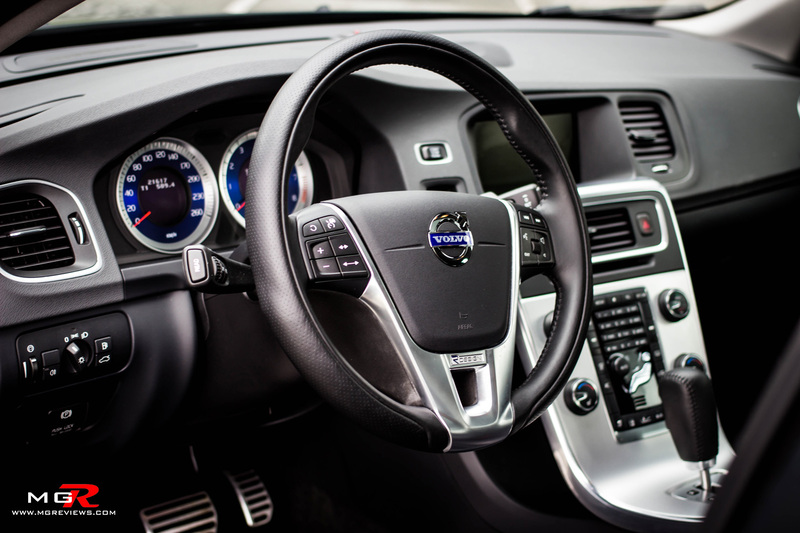 Another feature that this Volvo has one up on over its rivals is how quiet the cabin is. Going at 120km/h on a highway feels like you’re in a library. The only other vehicle that I’ve driven that was this quiet was the Range Rover HSE, and that’s a 6 figure SUV brand new. 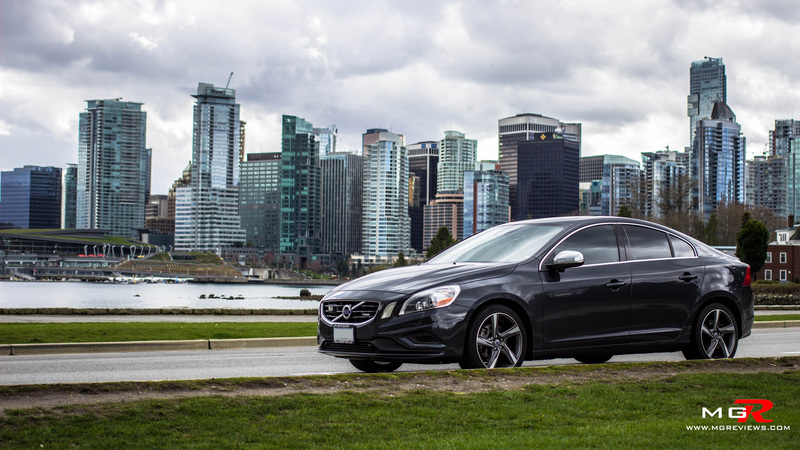 Odds and Ends – Volvo is trying hard to lose its stereotype of making vehicles that resemble boxes and this new generation S60 is a step in the right direction. 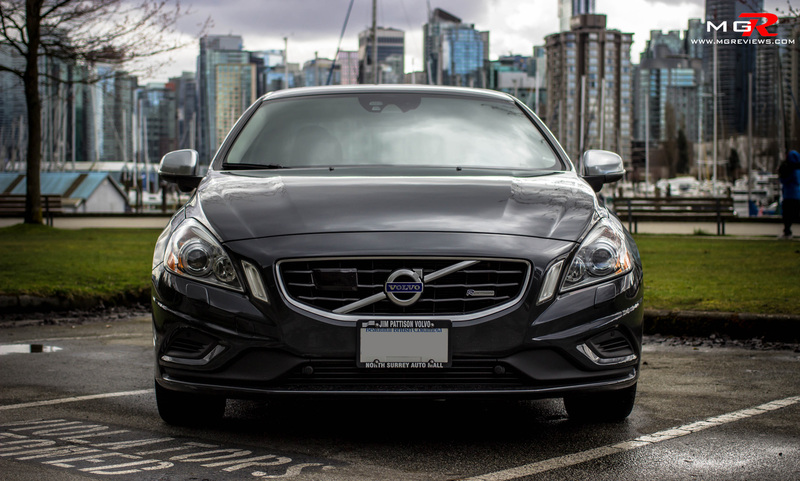 The curved body lines give the S60 a feeling of elegance and the special R-Design package make the car look a bit more “naughty”. Of course this being a Volvo there are plenty of safety features crammed into this car to keep all of the occupants safe during a minor or major crash. The body itself has been awarded a 5 star rating by NHTSA in every category that they test vehicles in. BMW and Audi have yet to accomplish that feat with their vehicles. Also there are a lot of electrical gadgets to prevent a crash from happening in the first place. Blind side monitoring system (BLIS), Lane departure warning, and City Safety which automatically stops the car if it’s moving less than 30km/h and the computer thinks that you’re about to hit a another car or pedestrian. But by far my favorite electronic feature is the radar guided cruise control. Just set the desired speed using the steering wheel mounted buttons and the car will maintain that speed. That sounds like any other cruise control, right? But the difference is that if the car ahead slows down, the S60R automatically slows down without you needing to apply the brakes. If the car ahead speeds up again, you speed back up to your set speed. This is a very nice feature that should become available on all vehicles because I think it will reduce traffic jams on highways and make fender benders a thing of the past. 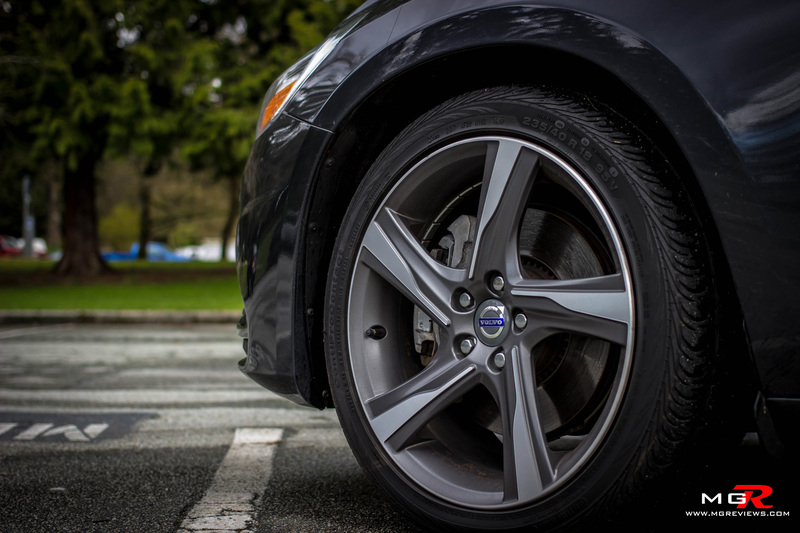 Volvo is trying very hard to get to the same level of prestige that BMW and Audi are at right now and the new S60R is very close to that level. It’s not quite as fast in a straight line as the Audi S4 nor is it as much fun as the rear-wheel-drive BMW 335i but if you’re looking for a car with superior safety, a comfortable interior that can rival cars costing twice as much, and approximately 95% of the performance of the 335i and S4 (at a lower cost), then look no further than the S60R. 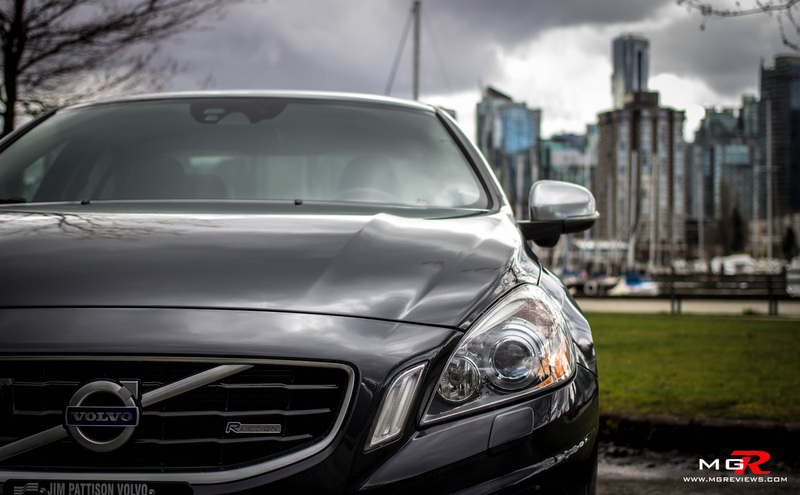 Thank you to Jim Pattison Volvo of Surrey for providing the vehicle.